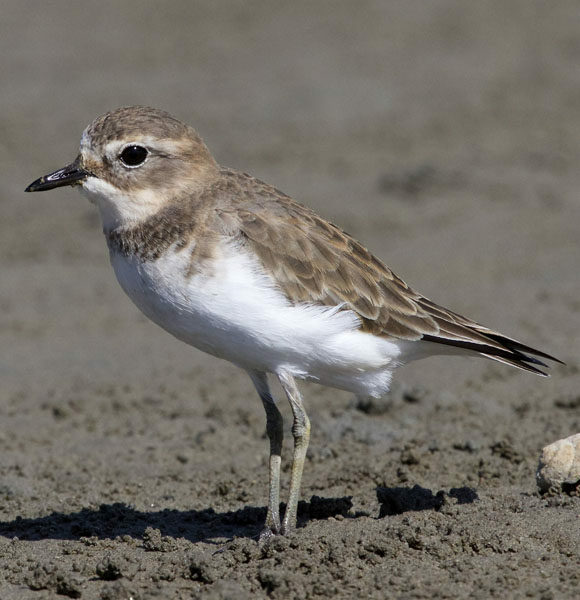 The banded dotterel-tuturiwhatu, also known as the double banded plover, is a small (20cm) wader in the plover family. 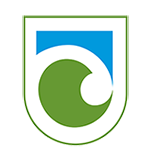 Two subspecies are recognised, the nominate Charadrius bicinctus bicinctus breeds in New Zealand and the Chatham Islands, and Charadrius bicinctus exilis breeds in the Auckland Islands. They are fairly widespread in the south of New Zealand, but not often seen in the north. 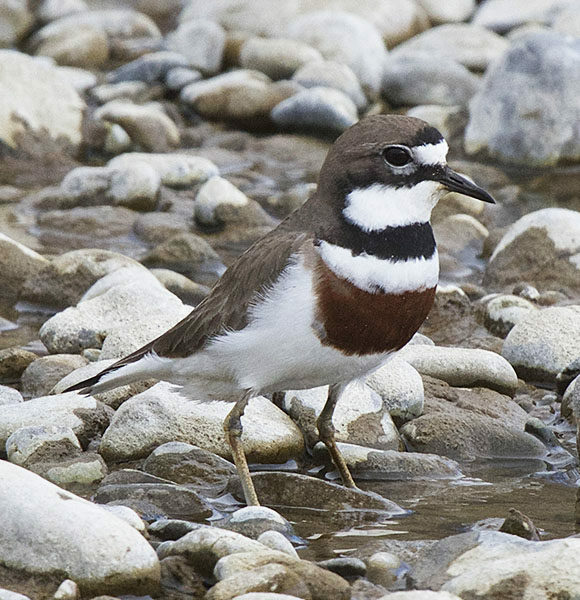 The nominate subspecies Charadrius bicinctus bicinctus is probably the most commonly seen bird on South Island braided rivers, including the Ashley-Rakahuri River. It is partly migratory, breeding in New Zealand and the Chatham Islands from in August-January. Some then winter in Australia, New Caledonia, Vanuatu and Fiji, while others remain in New Zealand. 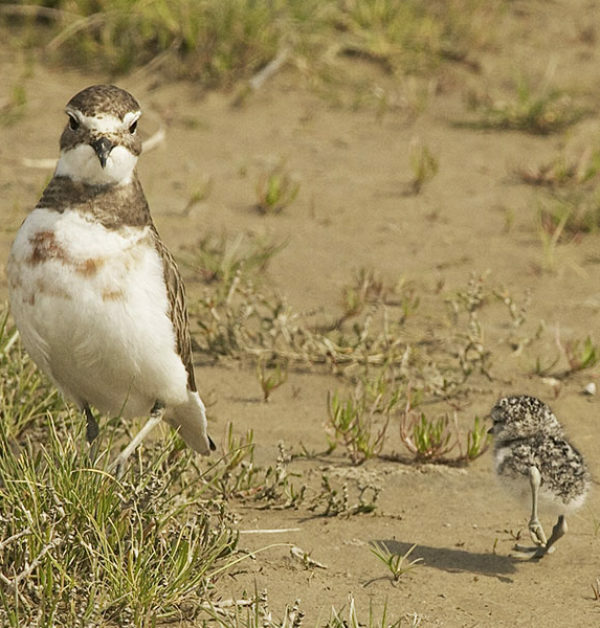 Like wrybill (which they are sometimes mistaken for), they breed in solitary pairs, generally nesting in more stable and low-stature vegetated areas along the outer margins of the main waterways. Their diet is varied: aquatic and terrestrial insects, spiders, crustaceans, worms, and sometimes berries. They first breed at 1 year of age. Three pale green-to-olive speckled eggs are laid in shallow scrapes in gravel, sand, or soil lined with tiny stones. Both adults incubate eggs for 4 weeks but never feed their chicks, which must fend for themselves after hatching, and fledge after 5-6 weeks.